In this electronic world it can seem hard to find music that isn’t a product of the daily grind. As our lives roll through the busy streets, electricity fueled late nights, blue screen tinted days, and marketing driven music, it is easy to forget that there is a different authenticity that exists underneath. Despite its fascinating history and layers of art and social unrest, it is possible be buried by the weighty commercialism of life in Berlin. So, what can be done? Get back to the roots with music. Why is music important to us? In this case, because it can help each one of us to reconnect with something that lurks, hidden and repressed in all of our beings; something that helps balance the crescendoing furor of promotionalism that roars through the days. Nestled in a souterraine off of Nollendorfplatz is a store called Berlin Guitars. Owned by American Leonard Lott, it boasts a beautiful collection of guitars. Leonard moved to Europe in the late 1960s. He rubbed elbows with the likes of David Bowie, Jim Morrison and the Beatles. His love of music is palpable, but even more than that, his realness and devotion to the art establishes the atmosphere of the store. Berlin Guitars specializes in boutique guitars for any style of music as well as repairs and even hand makes custom ordered electric guitars. Berlin Guitars is the world’s largest dealer of Alhambra guitars. When speaking of these treasures, Leonard’s eyes light up and you feel the magic of their potential music. Made in Spain, Alhambra guitars are one of the best guitars in the world. The top price for an Alhambra guitar is about 3000 euros, but for 1000 euros the guitar you would get would be fantastic. 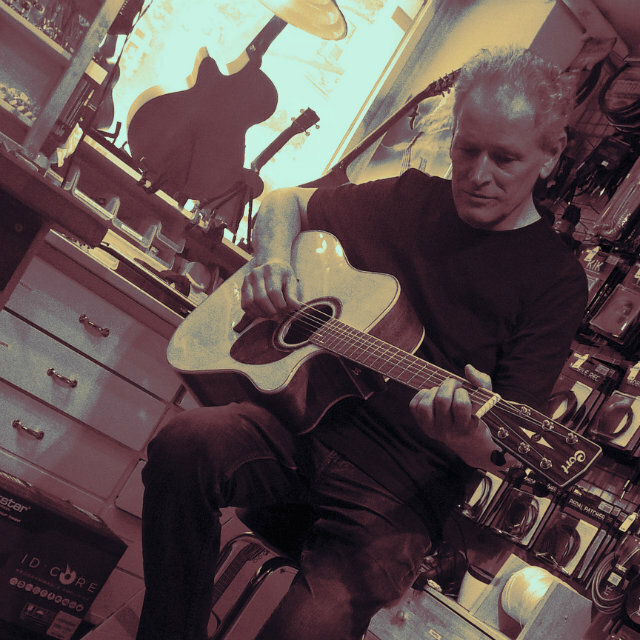 Anyone can find a guitar to fill their dreams at Berlin Guitars. He carries brands such as the high quality and affordably priced Thai Veellah, as well as Cort, Faith, Silvertone, Beaumont, JN and more. He also carries used guitars of all varieties. As a young girl and her parents enter the store he turns his attention to them. She wants to learn how to play guitar, and no, she has not done so before. At fourteen years old, her unbridled dreams swirling in her head, she knows what she wants. The family doesn’t want to spend too much. Leonard selects a Veelah and strums a chord progression for her. The family’s faces shine. 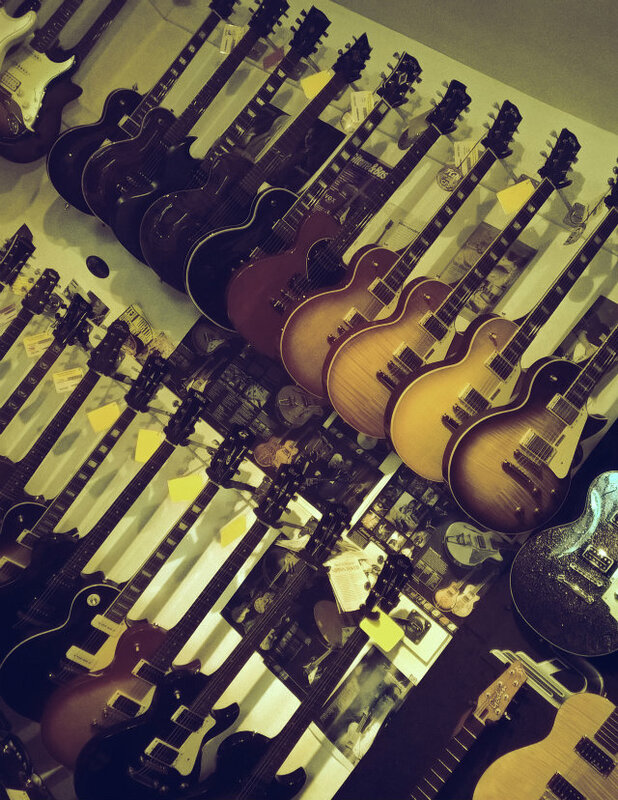 As Leonard plays, the basement store is filled with notes springing from his fingers .Leaping through the store, the notes soar between the hundreds of guitars that line the shop. The tone is perfect. Then, mercilessly, he selects another guitar. He begins to strum and the sound is equally delicious but different. Darker somehow, the girl’s face glows brighter. He plays about five guitars for the family; each one reasonably priced, producing glorious and distinct sounds. In the back of the shop are a father and son. They are making an educated study of the more pricey guitars. With a clear goal, they are sampling the guitars and quietly discussing the merits of each one. The phone is ringing; another customer approaches with a repair. Leonard changes the strings with the fluid motions of a professional. He checks the tuning of the freshly strung guitar, finding the electric tuner unnecessary for his experienced ear. The store is bustling. Berlin Guitars hosts 20 concerts a year. The performers are all singer-songwriters performing Americana music. They come from all over the word, hand-picked by Leonard from 800 to 1000 requests. Sold out well in advance, the concerts are a chance to have a drink, enjoy the music, and forget about the bustle of the modern world. They are the opportunity for us to benefit from the ambience of Leonard’s love of music. For all those guitar players in Berlin, you are lucky; you have an excuse to go to Berlin Guitars and soak up the mood. If you are not a guitar player, but would like to be, Berlin Guitars also offers private lessons. Leonard has a host of teachers prepared to take on students of all kinds. You too can indulge those dreams of being a rock star. So today I fell in love with a guitar, or maybe with many of them. 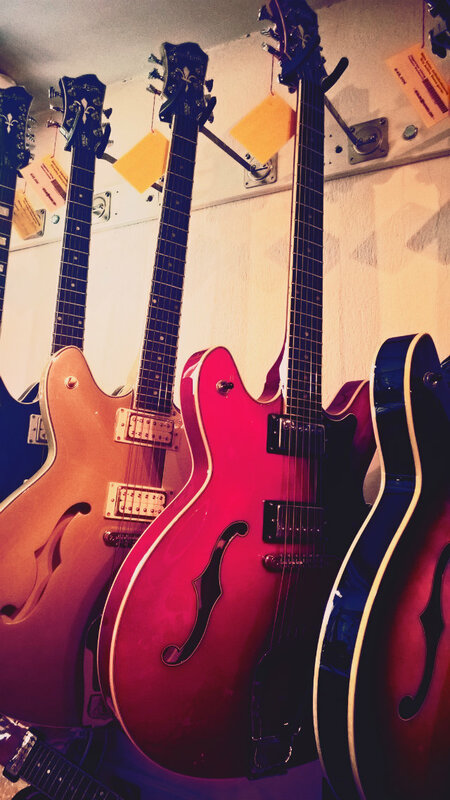 Adorning the walls of Berlin Guitars, each one is unique; the curves and the mother of pearl, the stings and the colors. The beauty of these guitars is unmatched. 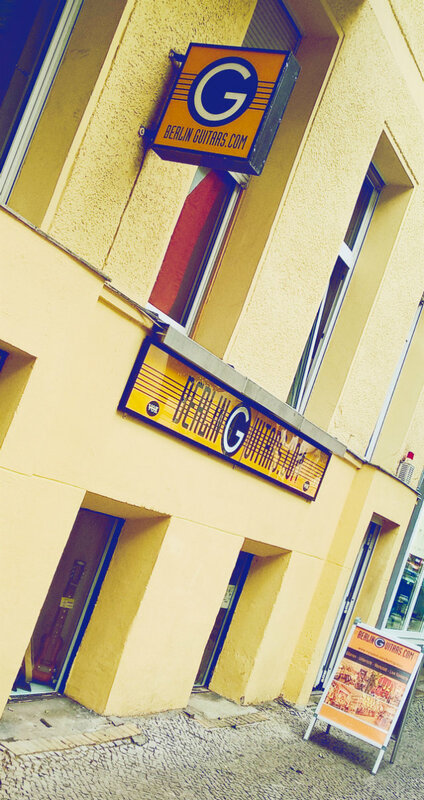 Berlin Guitars is located at Motzstraße 9, 10777 Berlin.